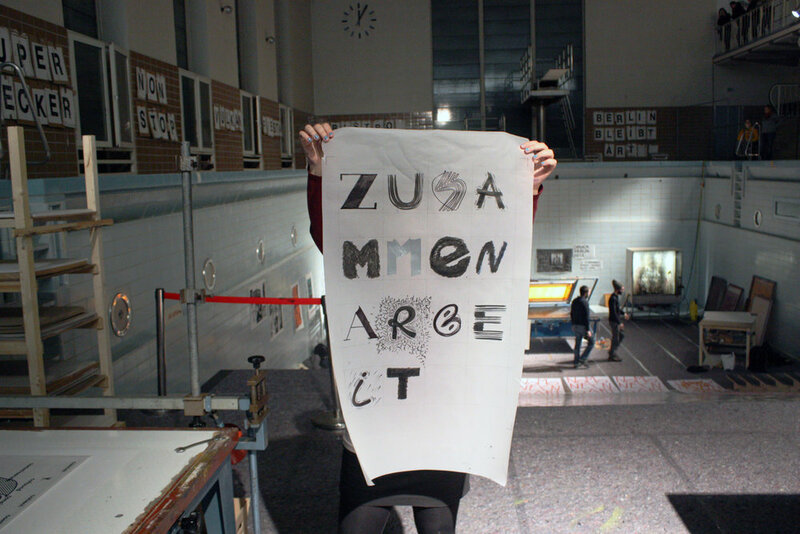 Just two years after our first steps as MAMA Silkscreen, we were invited to print in Druck Berlin Festival 2013. We designed a poster about the value of collaboration, an idea that got us this far so fast. 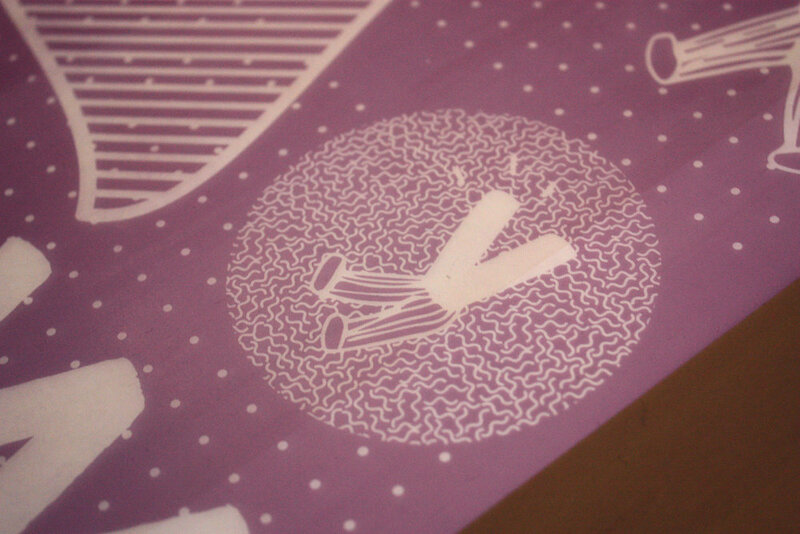 The poster was designed by 6 designers that worked separately, each one adding their layer to the work they received.